Jesus’ death and resurrection is Christianity’s ‘point of difference’. We want society to know that we do stand for something; we are not irrelevant, antiquated and selfish. The mood feels different. Sure, Christians have been speaking out on social issues since John the Baptist’s days, but in recent times we have usually been diplomatic. We’ve set up committees, met politely with politicians, and followed procedure. It hasn’t worked that well. Our society keeps making choices that Christians feel are inhumane, reckless, God-dishonouring and even evil. And so we are getting bolder. We are aware that is getting harder for us to be heard, above the hurricane of secularism. We are also aware that we are looking stranger by the day, and that Christian ethics don’t align very obviously with the way 21st Century Australian society is developing. We are also aware that we have lost a commission-load of moral authority due to our own failings and horrors. Even if people can hear us, why would they listen? So we are finding hills to die on. We want society to know that we do stand for something; we are not irrelevant, antiquated and selfish. We do care, and we care about a lot of things. We’re starting to articulate those things with new energy. What’s more, we don’t have to choose between left and right issues. Abortion, homelessness, poverty, refugees, sexual purity, paying taxes — they are all Christian issues. All Christians might not agree on them, but all should agree that they are important. Environmental issues are important, even if you are among the group who doesn’t accept the prevailing science on climate change. Moral issues are important, even if you are among the group who believe that sexuality is a given not a choice. Jesus Christ is Lord of all. I was always taught that the hill for Christians to die on is Calvary. It is the death and resurrection of Jesus that form the ‘point of difference’ for the Christian faith. There are plenty of other features of Christianity that are shared by other religions or by non-religious people, but the meaning of Jesus’ death and the reality of his resurrection from the grave are our distinctives (at a push I might add the incarnation). I still think this is true. If Jesus didn’t in fact rise from the grave, the apostle Paul says Christians are to be pitied. It would mean our hopes are pathetic: we are not going to share in Christ’s resurrection, because it didn’t happen. We’d have no hope that death can be conquered, because the great exemplar didn’t do it. Resurrection belief is our great big hairy hope. But that belief isn’t abstract; it has many, many daily consequences. Because we believe in the death and resurrection of Christ, we also believe in a whole way of life. 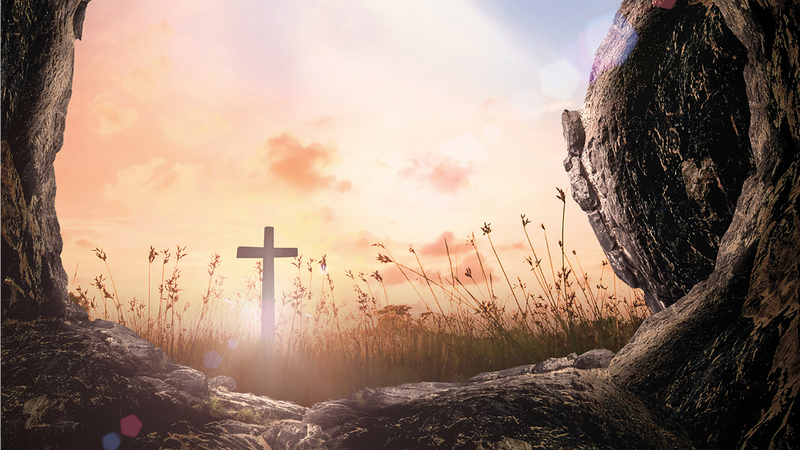 The way of Christ is our hill to die on; it begins with Easter, but it stretches all the way to the Second Coming. Our Jesus is both saviour of the world, and risen Lord of the world. We Christians are trying to walk in the way of the Lord in the here and now, in preparation for how things are going to be for eternity. We don’t have to choose between left and right issues. So we need to be outspoken on anything that we understand flows from the death and resurrection of Jesus. We are advocating for the way of Christ. We will have different politics, different passions, and different shapes to our ethical views. But wherever we think the passion of Christ makes a difference in the world, we need to speak out. Let’s move on from viewing one issue as ‘righteousness’ and another issue as ‘justice’. They are all issues of the gospel of Christ in action. Can we applaud each other for calling them out? Can we broaden, deepen and amplify the Christian voice by supporting each other? And since society is a bit deaf to us talking about the death and resurrection of Christ at the moment, we have to talk loudly about all of these other things, too. These ‘Christian way’ discussions have their base in our Easter beliefs, and I always trust and hope that the basis for our views will rise to the surface given the right conditions. The loud clarification of things Christians stand for, even when we disagree, is better than quietly fading away without standing for anything. Better to die on your left and/or right feet than quietly live on your knees.